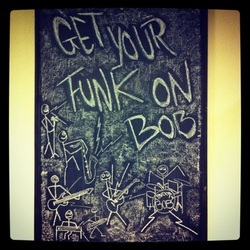 Are you ready to get your funk on with Snooty Bobs ? Presents are gigs curated and visually styled by some of Birmingham’s most interesting musicians and DJ’s. This month Snooty Bobs have complete creative control for one night at the Sun at the Station- Kings Heath- Birmingham; to sculpt the environment in which they perform and immerse the audience in their musical and visual world. Venue details - The Sun At The Station. 7 High St, Kingsheath, Birmingham B14 7BB.